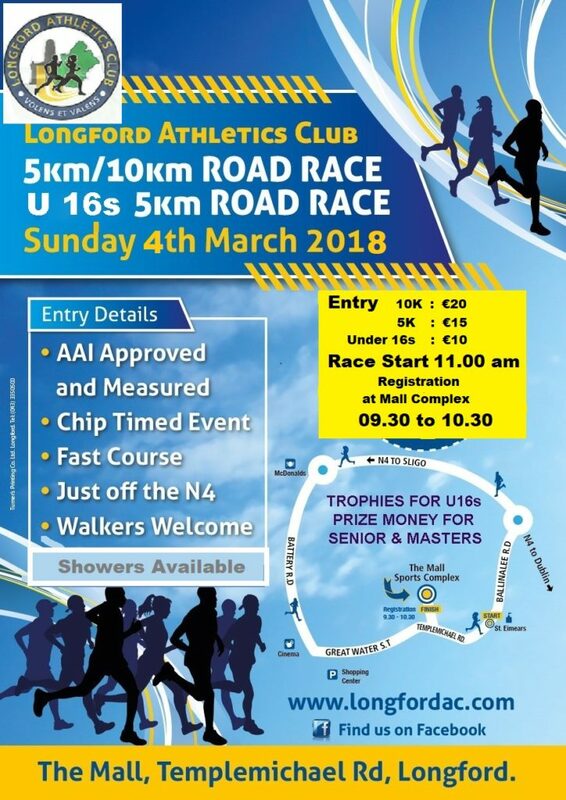 Longford AC are delighted to bring you the 5th running of their popular 5k & 10k road races along with the U-16 juvenile 5k race. Number pick up and registration will be available from 9.30am at the Mall Complex. 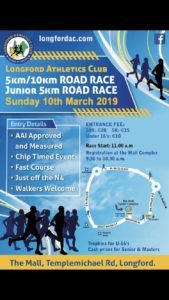 All races (5/10k and junior) will start at 11.00am sharp. 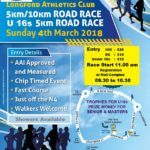 On behalf of Longford AC, thank you for supporting this race and best of luck in your run.